Shaun Dougherty is a Director of Photography & Camera Operator based in Sydney, Australia. 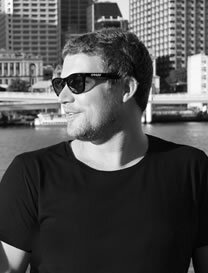 A wealth of experience behind the camera has established Shaun a dynamic slate of credits, operating on multiple Australian television projects, documentaries, commercials, music videos and short dramas. Interested in contemporary cinematography and narrative based content for new digital platforms, his experience with a range of camera and lighting systems allows a fresh approach to each and every production. Shaun is multi-skilled and capable of fine drama work. He’s good with actors, crew members and his observational documentary-style camerawork is excellent. He can be relied on to capture ‘the moment’ without instruction. His intuition is a great asset and his technical knowledge of camera hardware and software can be a significant contribution to any creative project. A thorough professional with a great eye for frame composition, colour and light.